In this section, we’ll look at the ways in which you can record payments for retainer invoices. You can integrate these online payment gateways with Zoho Invoice to receive online payments from your customers. 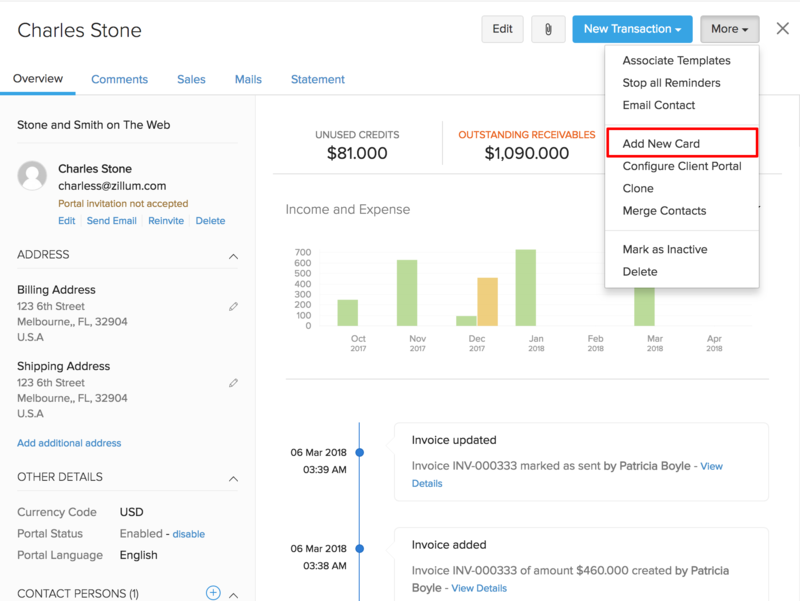 Once you’ve integrated a payment gateway, you can configure the payment options when you create a retainer invoice and send it to your customer. 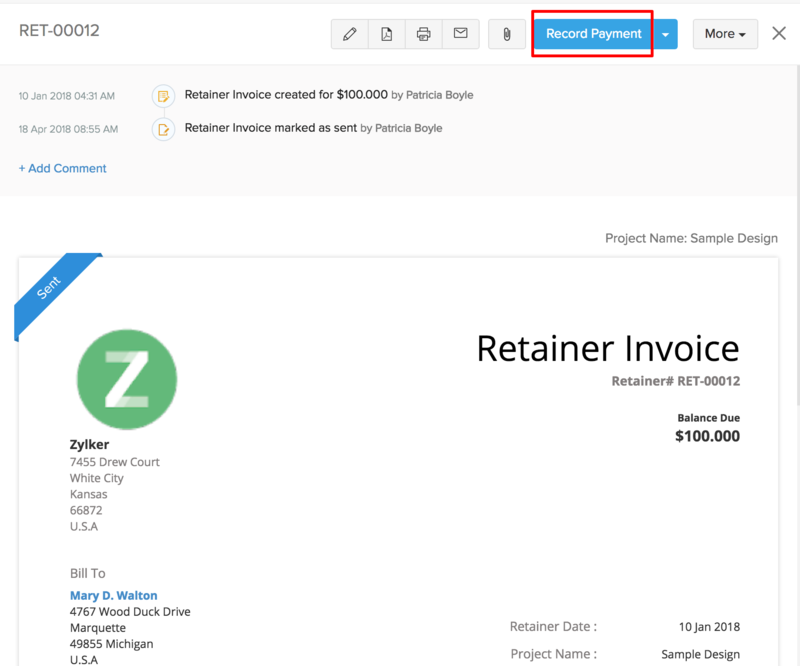 Your customers would receive the retainer invoice in an email along with a payment link. They can click that link to make payment for the retainer invoice. 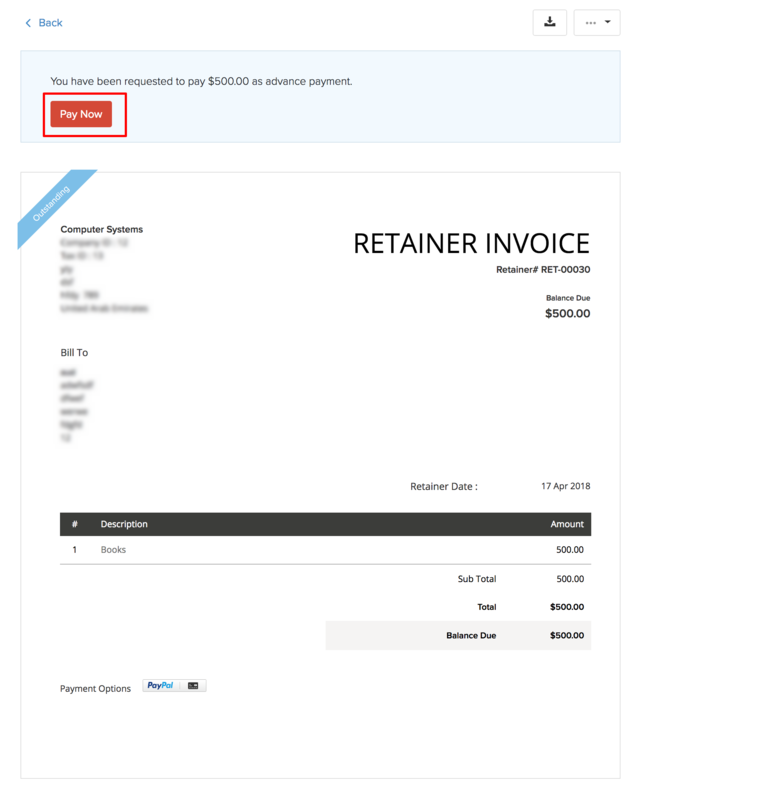 If you have enabled Client Portal for your customers, they will be able to view the retainer invoice in their respective portal. They can pay for the retainer invoices from the portal directly. 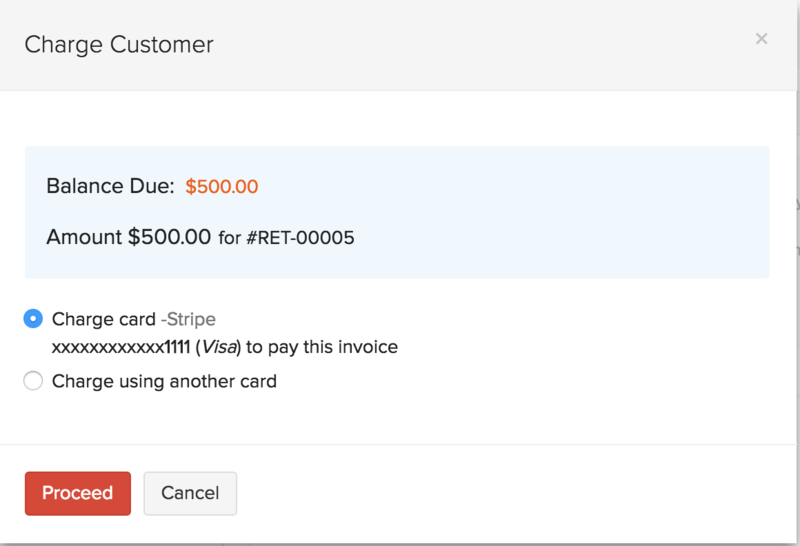 You can also manually charge your customer by storing their credit card information in Zoho Invoice. 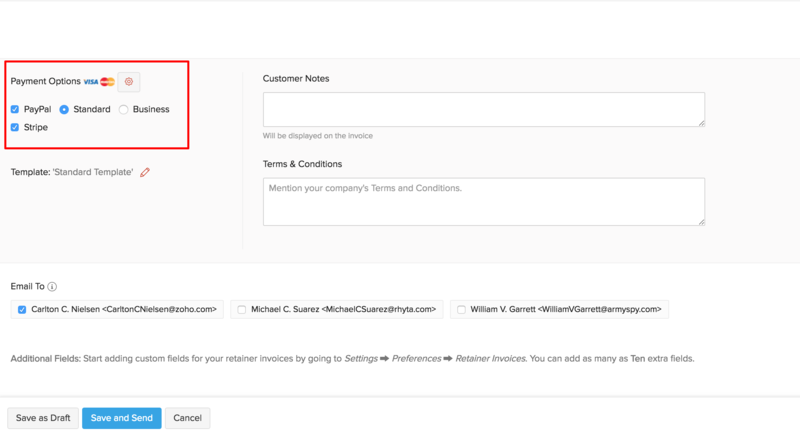 After integrating a payment gateway, go to the Contacts module on the left sidebar. Select the contact for whom you’d like to add a card. Click the More dropdown on the top right corner and select Add New Card to add the card details. 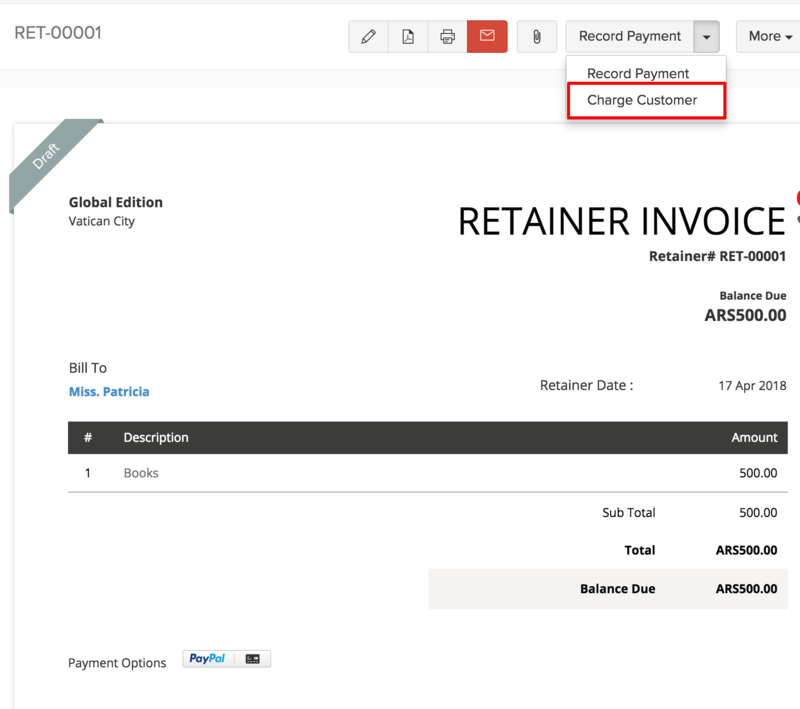 Navigate to the Retainer Invoices module and select the retainer invoice for which you wish to charge your customer. Click the Record Payment dropdown and select Charge Customer. In the next window, you will be asked to choose between the card that has already been associated with the invoice or to use a new card. 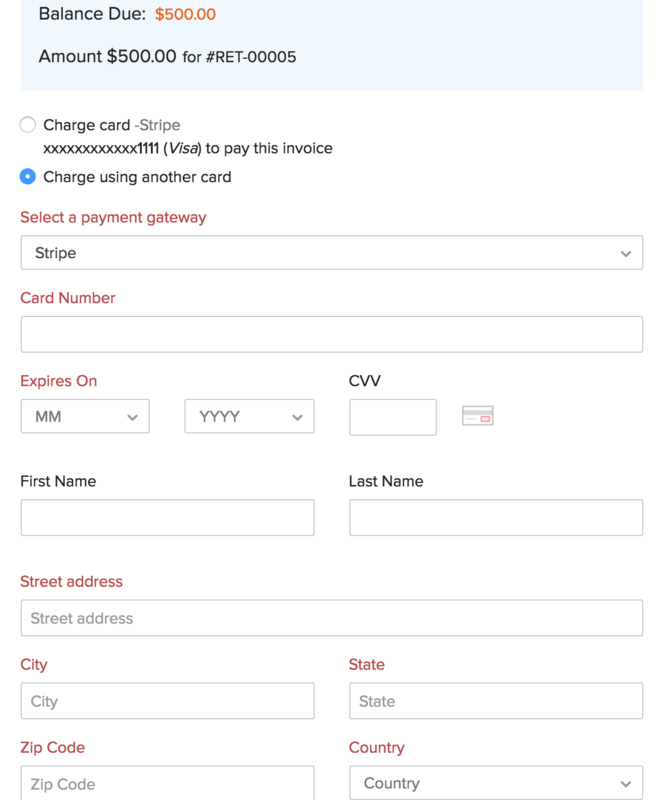 If you wish to use the card that has already been associated with the invoice, choose the Charge Card option and click Proceed. If you wish to make payment using a different card that is not associated with the contact, then click the Charge using another card option, select a payment gateway and fill in the required card details and click Proceed. Insight: The customer’s card information will be stored in the payment gateway you use for the auto-charge feature. 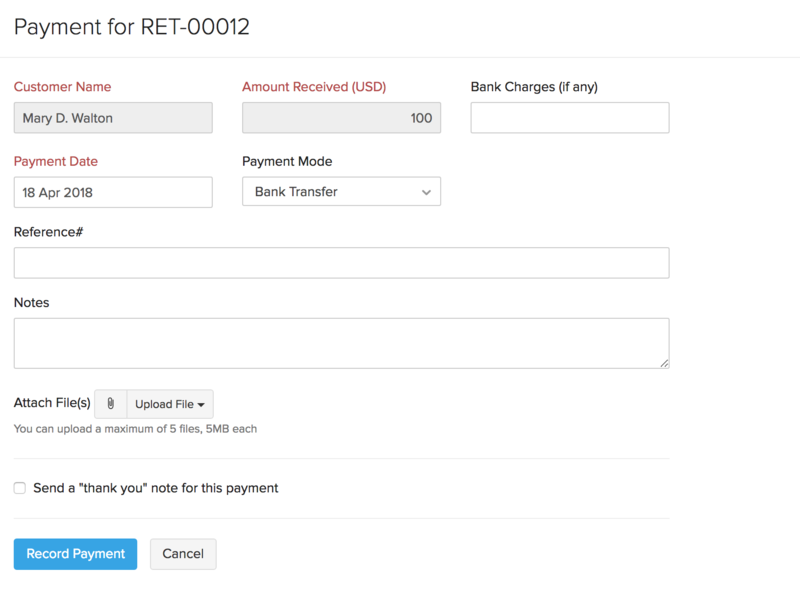 Select the Record Payment option from the retainer invoice. Provide the details of the offline payment in the pop up window and select Record Payment.